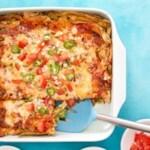 This layered casserole is inspired by classic cheese enchiladas, minus the fuss of rolling and stuffing individual tortillas. You'd never guess that within this comforting Tex-Mex casserole hides a layer of thinly sliced eggplant. The thin slices become tender when roasted and add a subtle savory note. Preheat oven to 375°F. Coat a large rimmed baking sheet and two 8-inch-square baking dishes with cooking spray. Peel the eggplant; slice into ¼-inch-thick rounds. Halve the rounds (or quarter, if large). Arrange in a single layer on the prepared baking sheet; brush 1 Tbsp. oil over the eggplant. 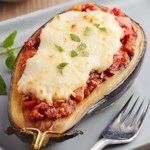 Bake, turning once, until the eggplant is just beginning to brown on the edges, 10 to 15 minutes. Let cool. Heat the remaining 1 Tbsp. oil in a large nonstick skillet over medium-high heat. Add onions and cook, stirring, until soft, about 10 minutes. Add garlic, chili powder, oregano, onion powder, and cumin; continue cooking just until fragrant, about 30 seconds. Stir in tomatoes, beans, chiles, and cilantro. Set aside. 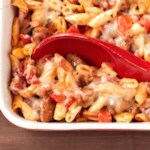 To assemble the casseroles: Cover the bottom of each baking dish with ¼ of the tortilla pieces. 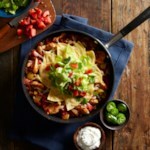 Spread 1 cup of the tomato-bean mixture over the tortillas, then sprinkle each with ¼ cup Cheddar. 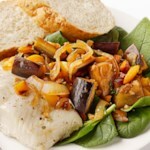 Top each with a layer of ½ of the eggplant pieces, then layer each with 1 cup of the tomato-bean mixture. 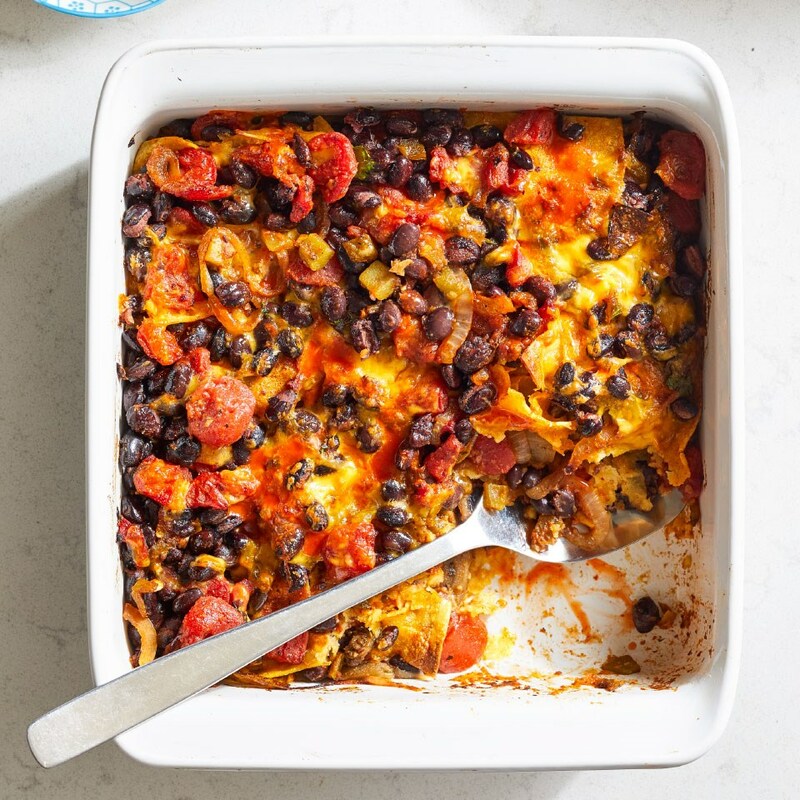 Divide the remaining tortilla pieces and remaining tomato-bean mixture between the casseroles, then sprinkle each with ¼ cup Cheddar. Cover both dishes with foil. Label and freeze one casserole for up to 1 month. Bake the remaining casserole until bubbling, about 30 minutes. Uncover and continue baking until the cheese is lightly browned, about 10 minutes more. Let stand for 5 minutes before cutting. 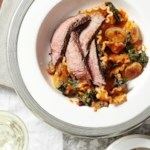 To make ahead: This double-batch recipe makes one casserole for tonight and one to freeze for up to 1 month (see Step 4). To cook from frozen: Thaw overnight in the refrigerator, then bake as directed in Steps 5-6.